(Newser) – It's not often that a solicitor general's comments make international waves, but Indian Solicitor General Ranjit Kumar has managed to achieve such a feat. 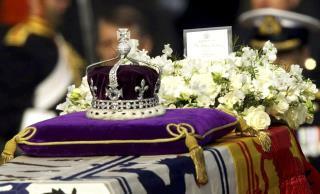 He told his country's Supreme Court on Monday that the Koh-i-Noor diamond, in Britain's possession since 1849, "was neither stolen nor forcibly taken away" from India, but was bestowed on Queen Victoria for Britain's help in the Sikh wars. As such, he suggested the country should relinquish its claim to the gem. Not so, now says the very government he was representing in court. The ministry of culture on Tuesday issued a statement saying India "further reiterates its resolve to make all possible efforts to bring back the Koh-i-noor diamond in an amicable manner." Would they like all their migrants back too ? So this gem has passed through many hands in its history. But the Indian hands are the ones that have the only solid claim. Makes sense to me.